QR codes are a straightforward method to make digital payments. Citizens can now use the Government QR Payment system to transact with HDB, CPF, SLA and LTA. What’s worse than having to foot a bill? A cumbersome payment process requiring the payer to verify personal particulars, fill in bill reference numbers, key in the amount payable, or set up a GIRO account from which the payment can be deducted. Rather than make clients go through a hassle when parting with their money, organisations are turning to digital technologies to streamline payments, and one of the most popular electronic payment (e-payment) methods to date has been the quick response (QR) code. Easy to identify and simple to use, these black-and-white (or purple with PayNow), squarish and two-dimensional barcodes automatically redirect users to a payment webpage once scanned with a mobile phone camera. Leveraging this technology, the Singapore government is looking to implement QR code-based payments across its agencies. 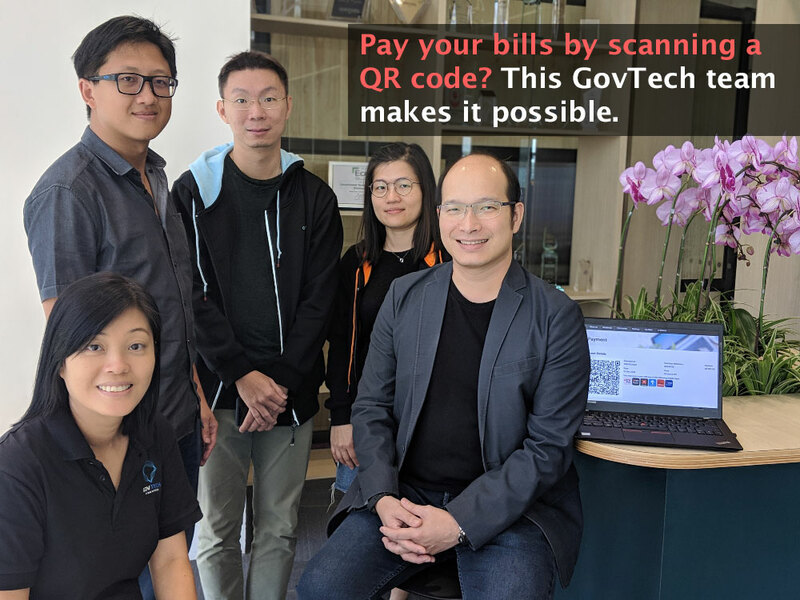 “The Government QR Payment (Gov QR Payment) system, which was developed by the Government Technology Agency of Singapore (GovTech), allows citizens to simply scan the QR code on their bills, both physical and electronic, to transact with the government,” said the Gov QR Payment team at GovTech. Gov QR Payment is based on the Singapore QR (SGQR) code standard developed by the Monetary Authority of Singapore, which defines QR code details such as the default positions for Singapore-relevant fields, as well as the ordering of account information from payment schemes. However, instead of creating a separate mobile app for the Gov QR Payment, the team at GovTech decided to integrate their solution with the banks’ e-payments apps with QR scanning features. This involved working closely with financial institutions including DBS Bank, OCBC Bank, United Overseas Bank and electronic payment service provider NETS. Once the technical framework had been put in place, the Gov QR Payment team carried out a pilot test on the Housing Development Board (HDB) Resale Portal and Sales e-Application in August 2018. Resale flat buyers and sellers could pay for resale application administrative fees, conveyance fees and title search fees using the Gov QR Payment system, thereby eliminating the need for buyers and sellers to make payment personally at HDB if they do not have a credit card. For those applying to buy apartments from HDB, the S$10 administrative fee can be paid via QR payment as well. To date, some 3,500 individuals have used the Gov QR Payment system to transact with HDB. Given the early success of HDB, other government agencies such as the Central Provident Fund (CPF), , the Singapore Land Authority (SLA) and the Land Transport Authority (LTA) have since deployed Gov QR Payment as an e-payment mode. “The Gov QR Payment option is in line with the Singapore government’s Digital Government Blueprint, and is a step towards delivering end-to-end digital services for citizens by 2023,” said the Gov QR Payment team. 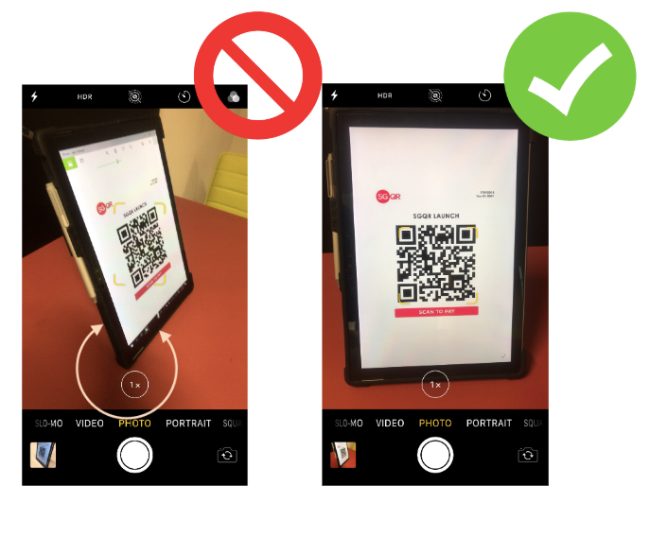 Having tested and developed numerous QR codes, the Gov QR Payment team knows how to avoid encountering an error message when scanning QR codes for payment. Here are five tips you should note. 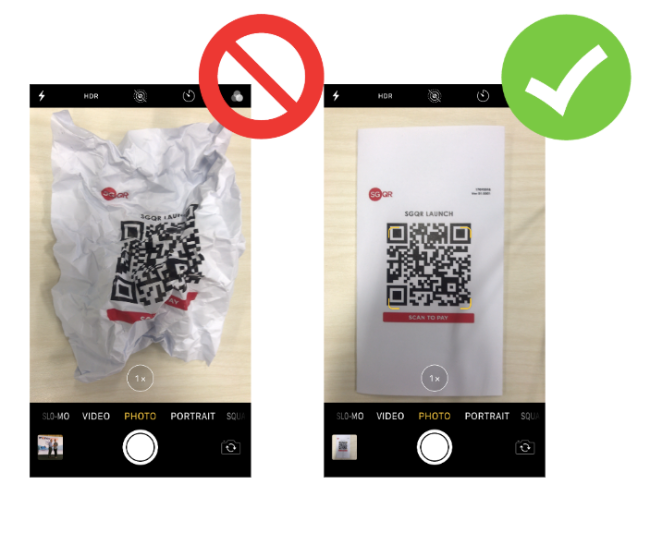 When scanning a QR code, make sure you get a complete ‘front view’ image by positioning your camera so that it directly faces the QR code. A scanning angle of less than 30 degrees will likely result in failure to process a transaction. Most smartphone cameras these days come with built-in auto-focus, but it helps to tap once on the screen while in camera mode to make sure that the QR code comes into focus before snapping a photo. The squares at the top two and bottom-left corners of the QR code are there for a purpose—to help the scanner align the image such that it knows top from bottom, left from right, so make sure all three corners are in the frame while scanning. 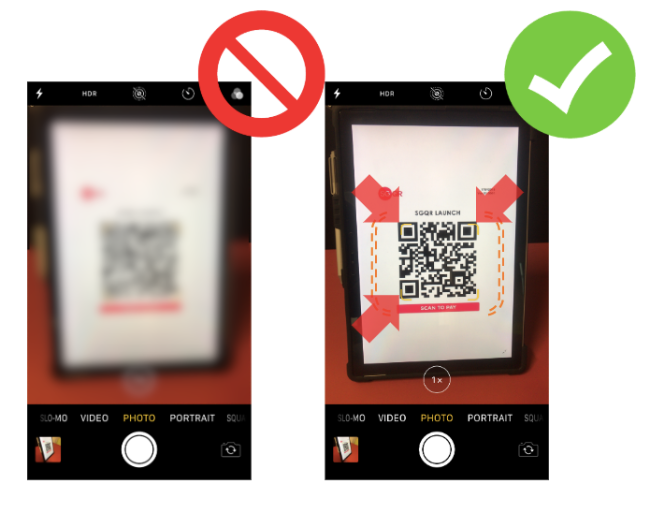 The pattern on the QR code is important, so crumpling or drawing on it can prevent the scanner from recognising it. 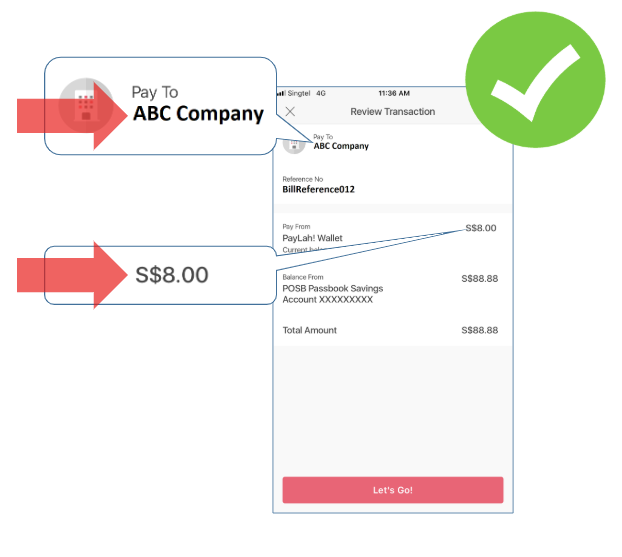 Always check that the transaction details are correct before sending payment. For bills from government agencies, the Gov QR Payment code should automatically indicate the amount to be paid and the bill reference number. For merchant transactions, be sure that the store name matches what is displayed after the QR code has been scanned.